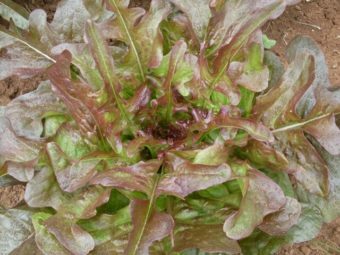 Lactuca sativa. Green Pink Leaf. 30 days baby; 50 full. 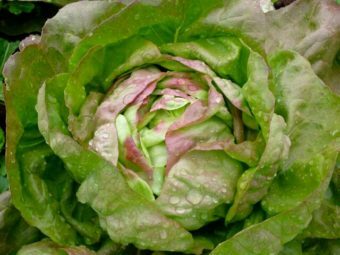 Apple green leaf lettuce tinged with pink. A little like a butterhead but with more open heads. Flavor and texture is great. 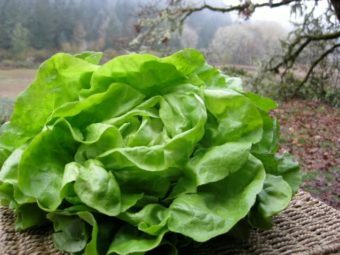 Best as a spring, fall or winter lettuce. Survives cold, wet weather exceptionally well and may even survive deep into winter. Probably originates near Samara, a Russian city on the Volga River. 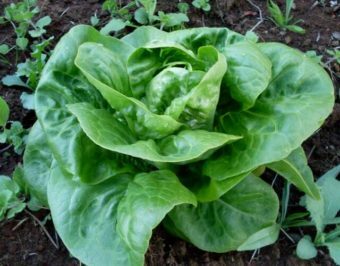 Our original source was from the Heritage Seed Library in England.